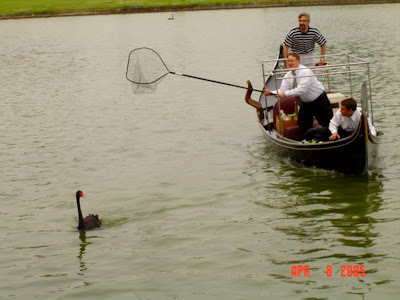 As if what we do with our boats on a regular basis isn't interesting enough, now and then a gondolier is asked to go above and beyond, and do something remarkably strange, amusing, or worthy of taking pictures of. 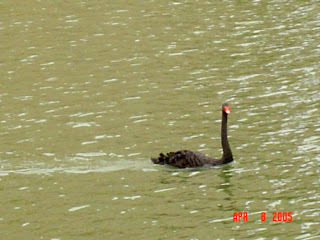 Such was the case back in April of 2005, when some of my gondoliers in Irving, Texas were asked to assist in some "swan catching". 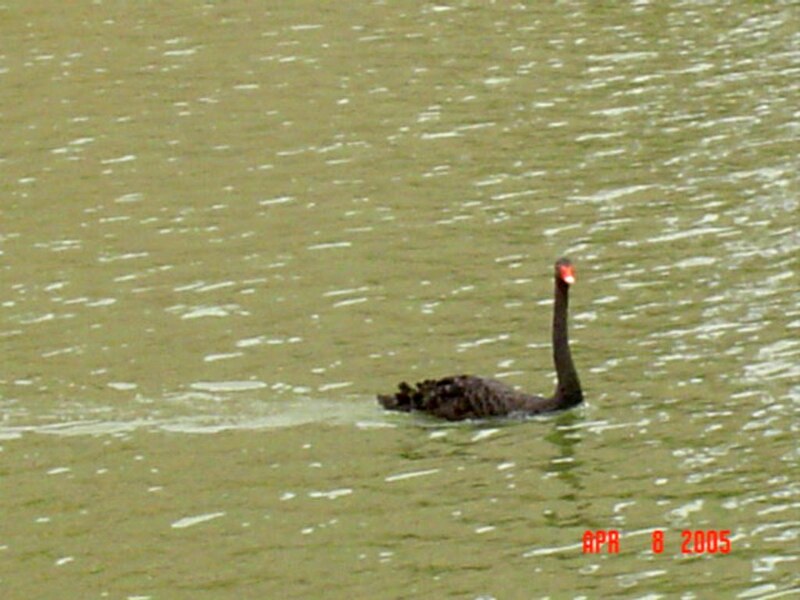 One of the big hotels on the lake has a pen of black swans. The guests love them, the staff takes very good care of them, and yet sometimes the swans lose sight of just how good they've got it. 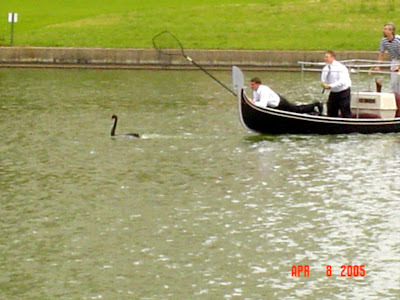 One spring day, my staff there jumped aboard our fastest motorized gondola and set out to perform a good ole Texas Swan-roundup of a very wily swan. 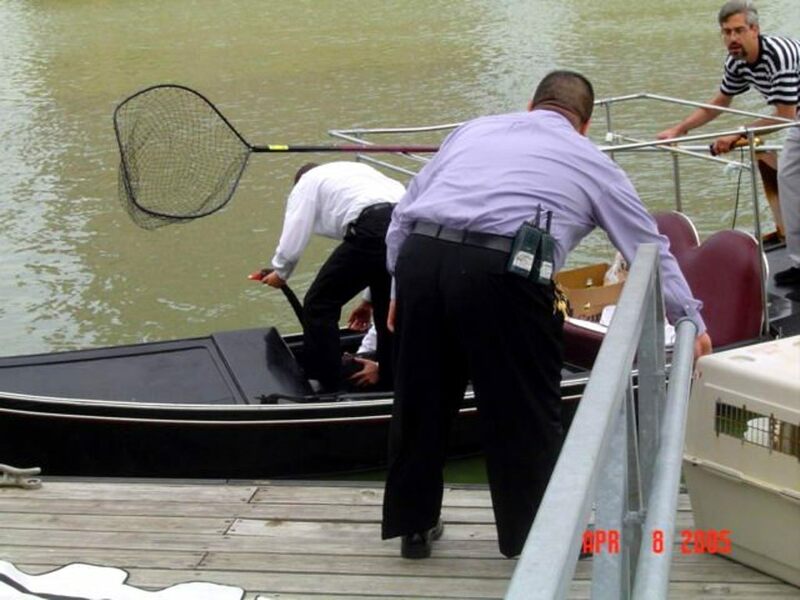 while hotel staff reach out with a net. 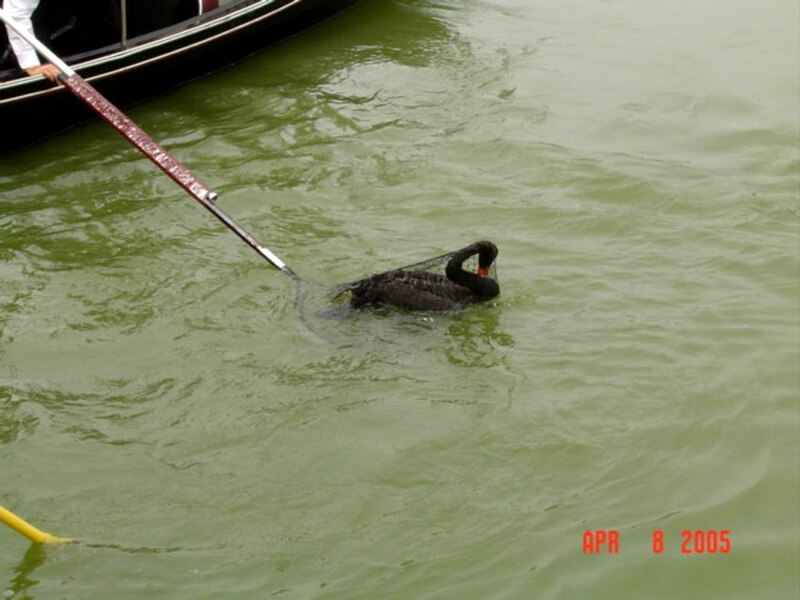 to allow the "swan handlers" to do their job. The swan celebrates his superior cornering ability. climbs out on the bow with the net. 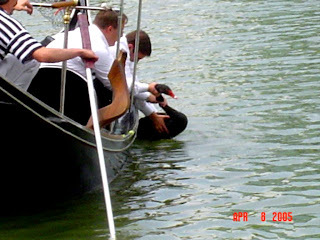 After bringing in the swan, the "swan handlers" handle the bird carefully. As you can see, this gondola also has a forcola - the boat was designed to be either rowed or motored. 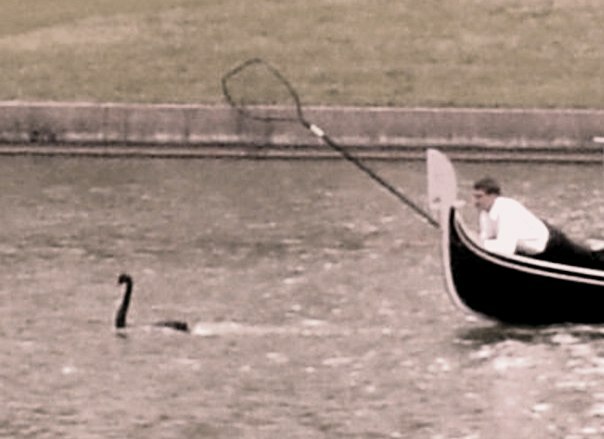 The unusual crew came to dock, with one very irritated swan. 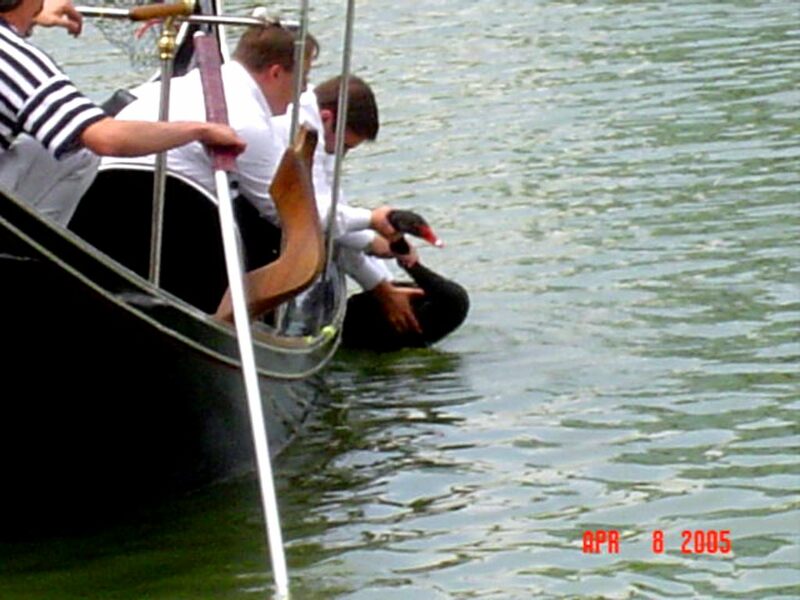 but this one is one of my favorites.